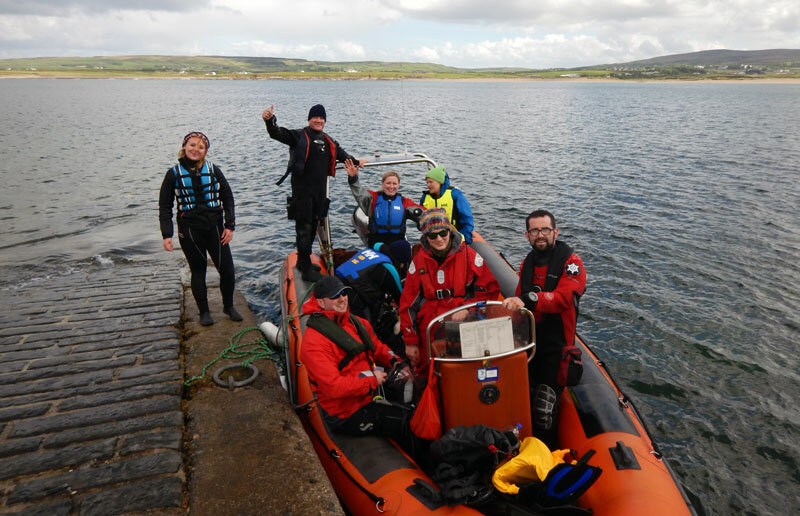 The thought of an unexpected and extremely close encounter with sharks would bring a shiver to many off us but for a pair of scuba divers from UCD Sub-Aqua club it was definitely the highlight of a bank holiday weekend diving trip in Mayo. And in their incredible video footage it’s very clear they are absolutely loving the experience! The divers of UCD Sub-Aqua club were exploring the marine life rich waters around the Stags of Broadhaven, a group of jagged rocky islands at Broadhaven Bay, Erris, Co. Mayo. 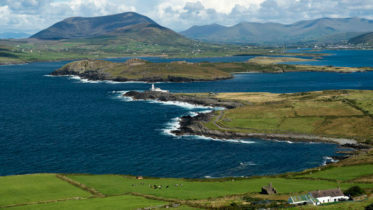 Divers Gavin Ó Briain and Davy Lynn were in the water at a depth of 20 metres finishing up their dive when one of them spotted in the distance the unmistakable silhouette of a shark. 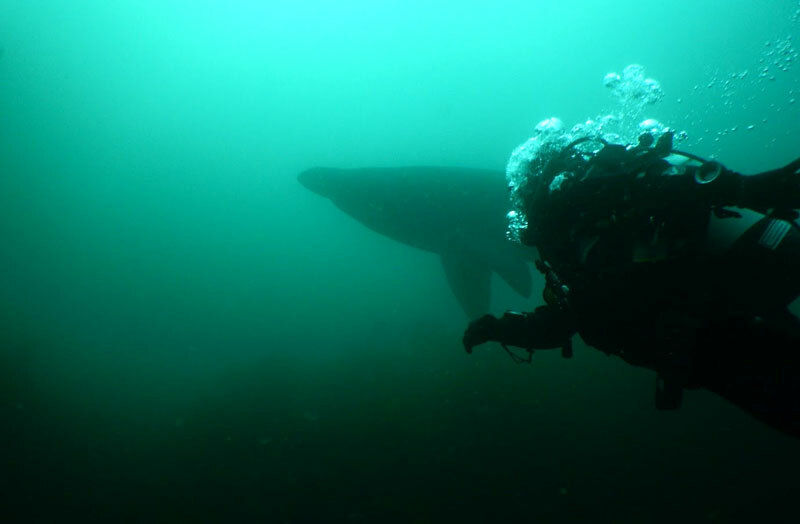 The experienced divers were quick to identify the looming creatures as basking sharks, putting pay to any momentary heart palpitations and allowing them to get cameras ready for some great photos and to film their once-in-a-lifetime experience. Basking sharks are instantly recognisable at the surface for their behaviour when feeding where they swim along slowly with mouth wide open. They typically swim mouth open for 30 to 60 seconds collecting plankton which is composed of very small animals and microscopic plants, before closing their mouth and swallowing. At depth basking sharks swim mouth closed and the divers were able to identify the huge creatures by other features of their appearance. What followed was one of the most-sought after underwater experiences – the two basking sharks drew near and circled the divers allowing them to take some incredible footage – as can be seen in the video below the divers are clearly delighted! “It was without a doubt the most amazing thing I’ve ever seen underwater and probably in my life,” Gavin added. 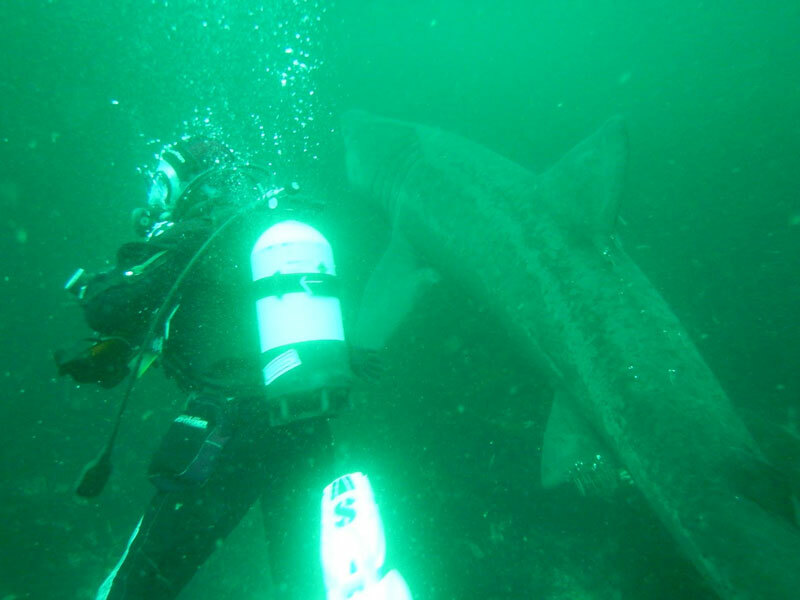 “I’m delighted the divers got to swim with basking sharks. 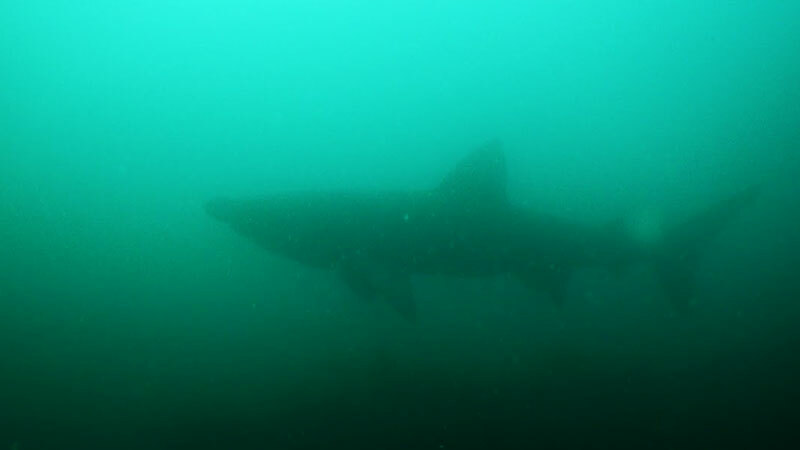 It can be a bit of shock when an animal as big as a basking shark comes out of the blue but our divers were very composed and even got some great footage. For me it really highlights the high level of training these divers have gotten at UCD Sub-Aqua club and that is equally satisfying.” he added. For more photos, visit the UCD Sub-aqua club Facebook page.